In 1984, the splitting of AT&T's local telephone system into seven independent Regional Bell Operating Companies (RBOCs) laid the first few seeds for the telecom expense management industry to emerge. As the telecom environment became more complex, billing overcharges began to surface. Customers wanted help managing the explosion of new carriers and accompanying costs of new services, while bill auditors needed a better business model. Over the next couple of decades, the TEM industry steadily evolved, increasing its coverage of the entire telecom lifecycle as it did so. But this year will be remembered as the one where the diversification of TEM vendors really gathered pace, with providers now supporting customers in a variety of new business areas. Here are our top TEM trends for 2019 and beyond. Can I be sure my provider really knows how to effectively manage and protect my cloud or is it just an expert in selling it? Therefore a TEM vendor who isn’t affiliated with any CSPs, already has a good working relationship with the enterprise, and has substantial expense management experience becomes the logical choice. Since the CSPs themselves provide limited management services, and again, have questionable motives, enterprises are waking up to the idea of a fully dedicated service, delivered by accredited professionals. Cloud computing has been projected to increase at a compound annual growth rate of 19%, from $67B in 2015 to $162B in 2020. So, as businesses continue to ramp up public cloud adoption, being able to manage cloud inventory, improve governance, optimize costs, and ensure compliance with security standards becomes ever more critical for them. Consolidation is common within the TEM industry, as, firstly, many vendors are owned by short-term investors, and secondly, many vendors have an appetite for mergers and acquisitions in order to expand geographical reach. For these two reasons, we see substantial vendor churn year on year, making our prediction for it to happen again this year a safe bet. What may be a savvy business move for the companies involved often carries with it several challenges for the customer. Vendor mergers and acquisitions can be full of interruptions and risk for TEM clients due to the challenges of technology rationalization, service team integration, and the impact of "synergies" that sometimes see trusted service team members without a job. The ideal TEM vendor is one with a financial stability and growth focus to allow them to invest in organic expansion and global service delivery offices – not one that’s likely to be sold or cease operations altogether during your contract. For more information, see our earlier post offering an in-depth look into how to assess a TEM vendor’s stability. 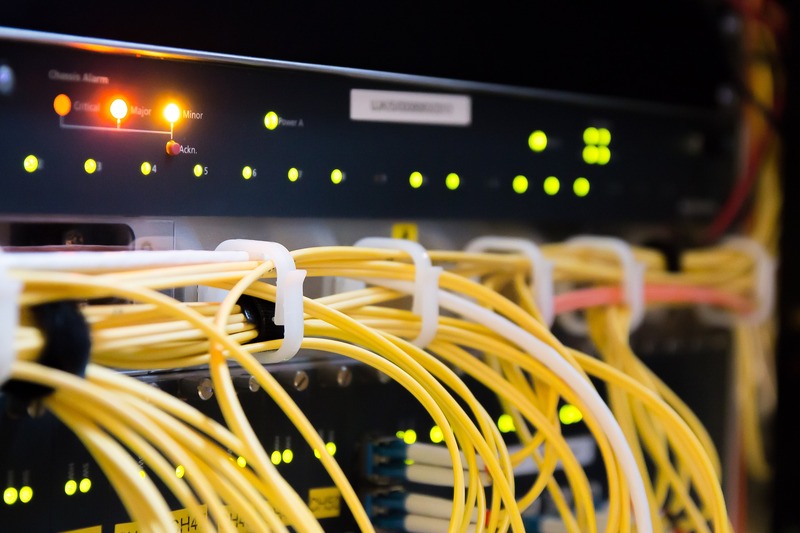 SD-WAN will continue to experience explosive growth throughout 2019, maintaining its trajectory to grow at a 69% compound annual growth rate. Valued at $225 million in 2015, SD-WAN is set to hit $8.05 billion by 2021. Rapid service delivery: When scaling up resources, businesses can use cheaper and more quickly deployed broadband circuits, as opposed to purchasing additional lines. Consistent performance: During busy periods, high-quality data transfer can be maintained and an SD-WAN solution is also able to distinguish latency-sensitive and mission-critical workloads. High availability: WAN services can be quickly deployed and without the involvement of IT staff. What’s more, bandwidth can be easily added or removed as business requirements change over time. Robust security: SD-WAN solutions have built-in encryption, ensuring that only authorized users can access and view assets connected to the corporate network. Security is also granular, meaning the analysis of ports, IP traffic, and source and destination traffic mean high-risk traffic is prevented from ever entering the network in the first place. Significant cost-savings: By utilizing all available network connections and decreasing dependency on costly leased lines, SD-WAN generates substantial cost savings. Conducting a continuous, systematic full-service audit to quantify potential cost-savings and build a business case. Assessing the various SD-WAN providers and selecting one, which includes benchmarking and sourcing activities. Implementation: Whether full rip-and-replace, hybrid or integration. Disconnecting legacy architecture (hardware made redundant by the new software-defined environment). Substantial expertise is needed to successfully complete these four stages, with many enterprises finding the particular knowledge and skills required to be lacking in-house. Therefore in 2019 and beyond, as more and more organizations decide to migrate to SD-WAN, the further TEM providers will become involved in support activities around the world. Customers have come to expect vendors to possess global provisioning capabilities, supported by in-region resources. This year we’ll see TEM vendors continue to diversify their portfolios, supporting customers in areas as far-reaching and complex as cloud computing and SD-WAN. But we’ll also see investment portfolios expand too, through ongoing acquisitions in the TEM landscape. How will the TEM vendor help me choose an SD-WAN supplier? I want SD-WAN roll-out to be global – will the TEM vendor be able to cope with this? The RFP process should provide answers to questions such as these, but it helps to have many strings to your bow when evaluating TEM vendors. Which is why we developed a 7-point checklist – the questions above would be covered by two of our seven checks (“Market Knowledge” and “Global Delivery Capabilities”). We also look at criteria such as “User-friendly Software” and “Ongoing Support”. If you’d like to learn more, download the free guide today.